Phensong or Phensang Monastery is a very old monastery. It’s been around right since 1721 and the heritage comes through when one interacts with the inmates of the place. They bear a culture that is ancient and deeply insightful. One feels a sort of calm settle over the mind and body here. 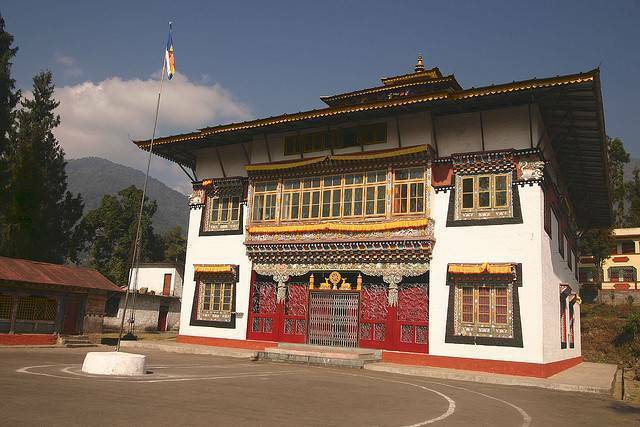 The history of Jigme Pawo coupled with the ancient evergreen mountains gives a sense of timelessness to the place. Home to approximately 300 monks, this place hosts a grand mind blowing fiesta during the first winter month of the Tibetian calendar. Do visit it if you want to bear witness to unforgettable cultural beauty.